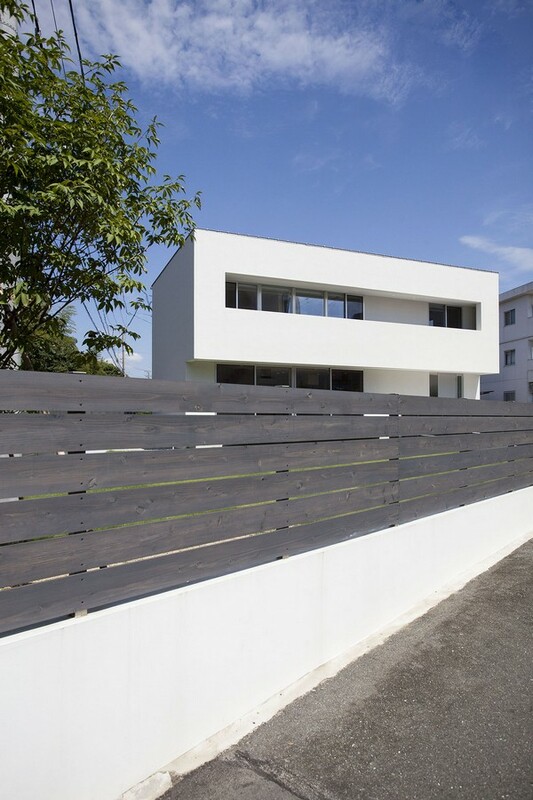 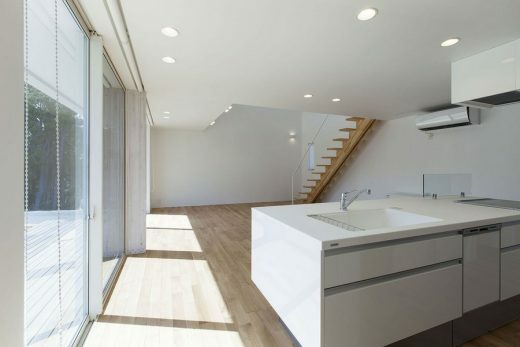 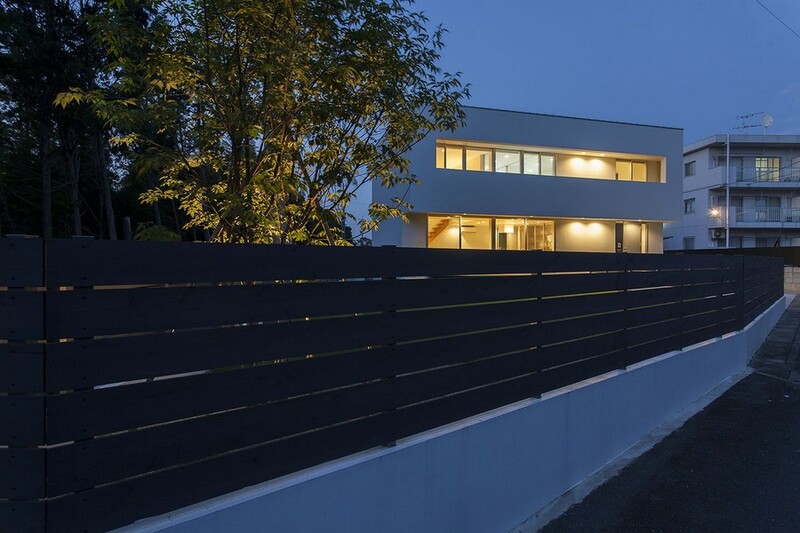 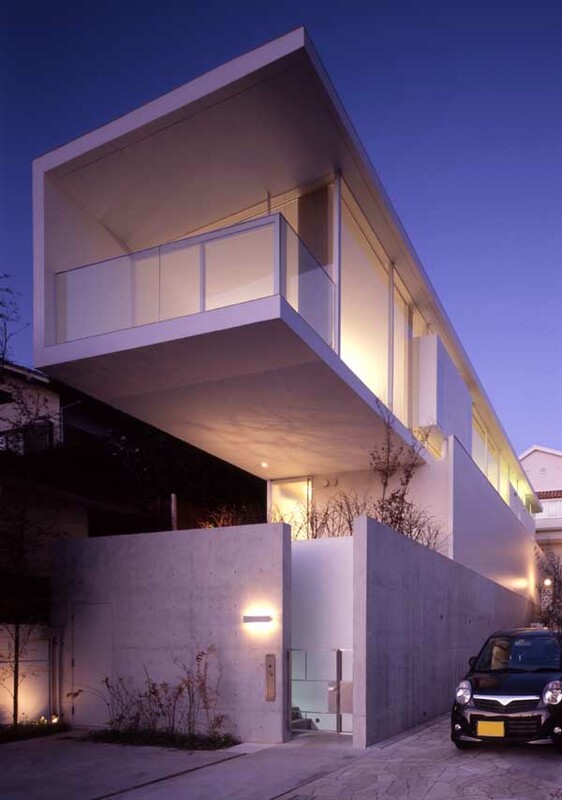 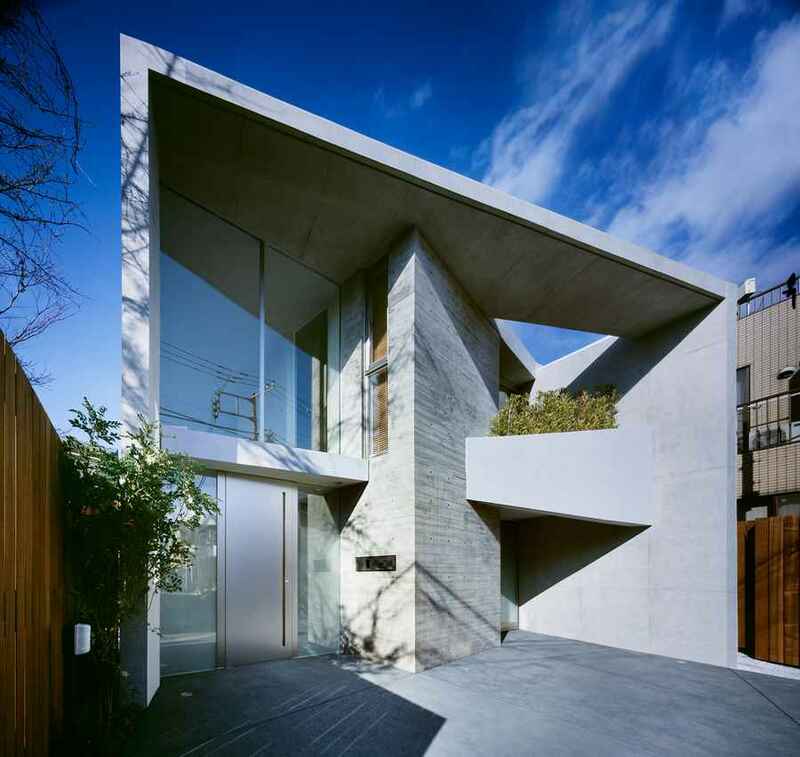 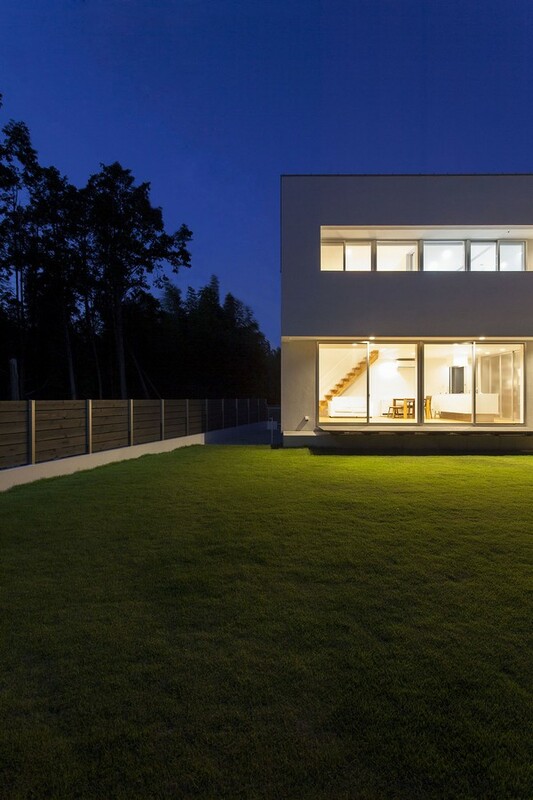 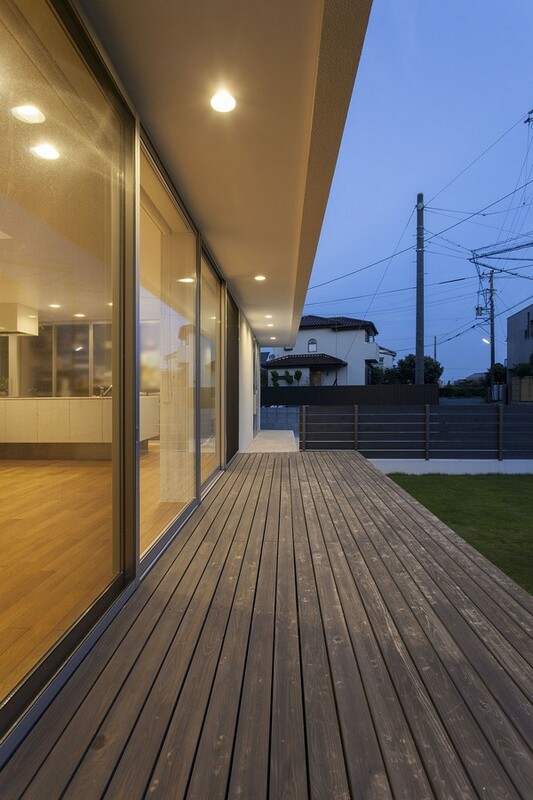 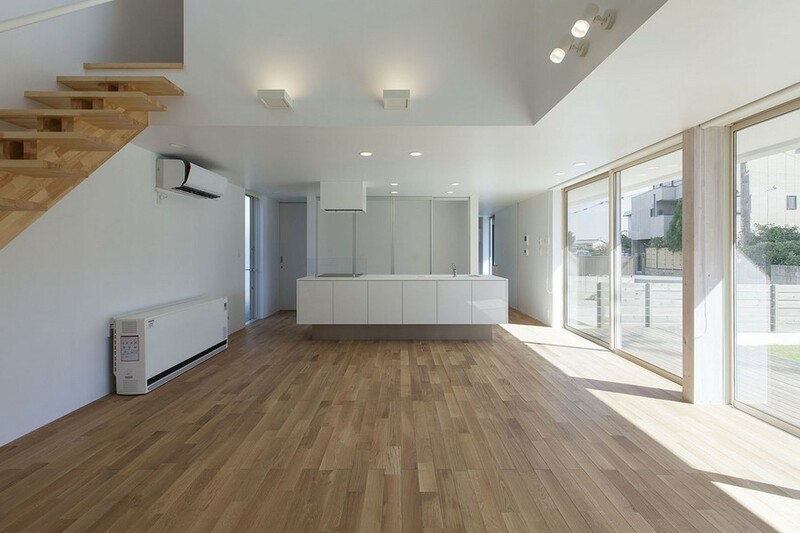 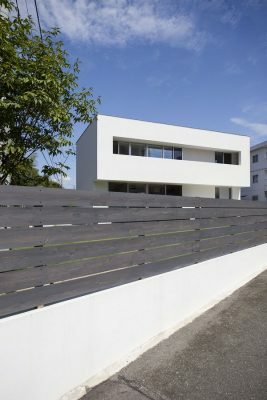 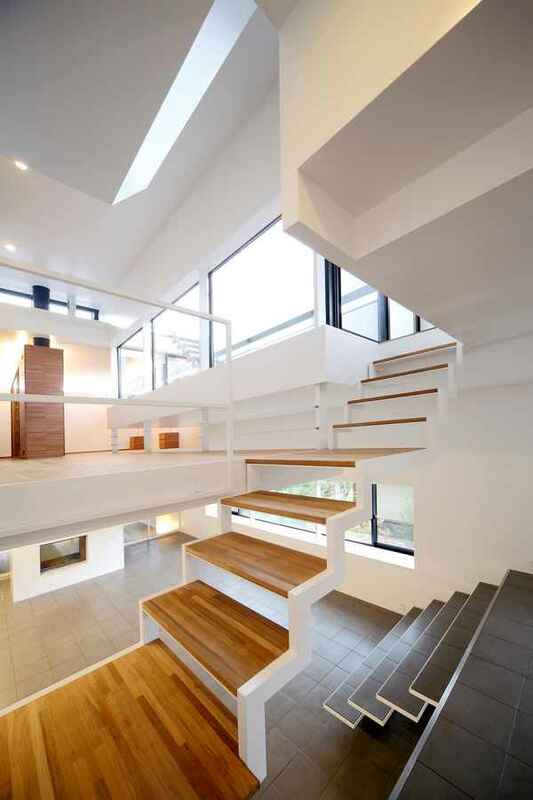 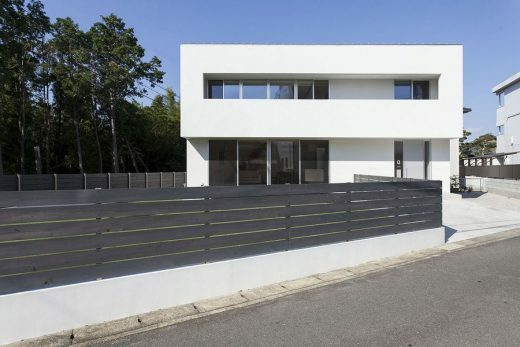 This residence stands in the suburbs of Hamamatsu, and was designed for a young couple with children. 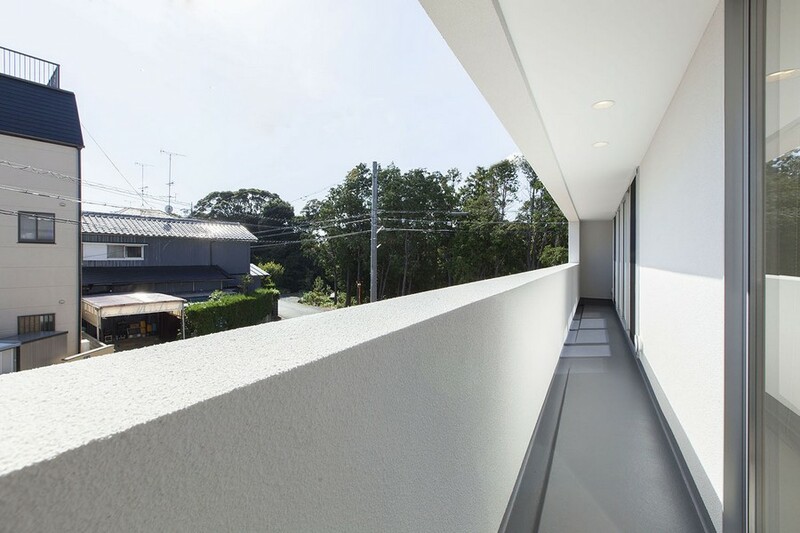 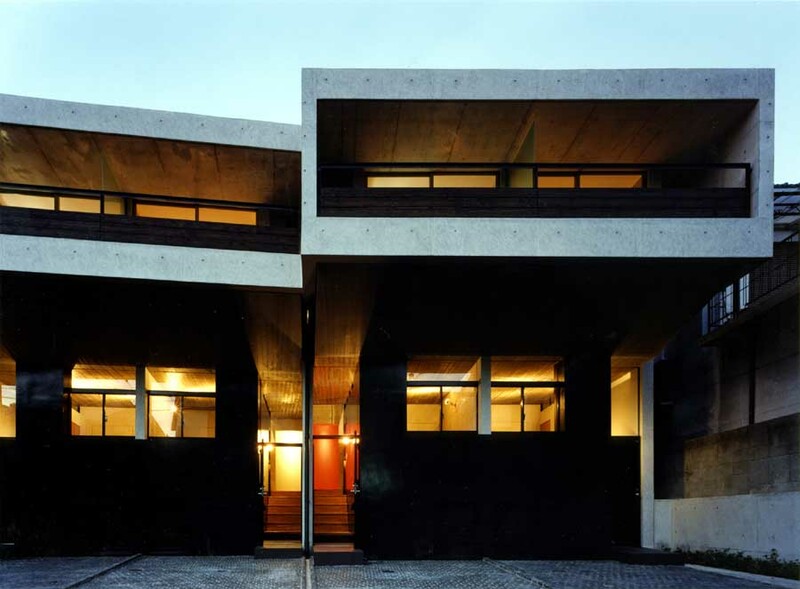 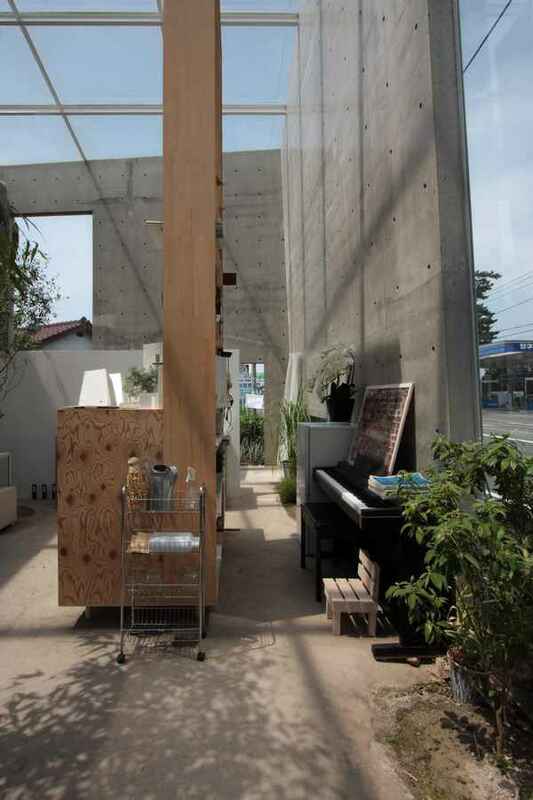 The House Wago building consists of a two stories high rectangular box with a meter deep balcony, which functions both as a semi-outdoor corridor connecting the rooms on the upper floor, and as a roof over the ground floor entrance porch and veranda. 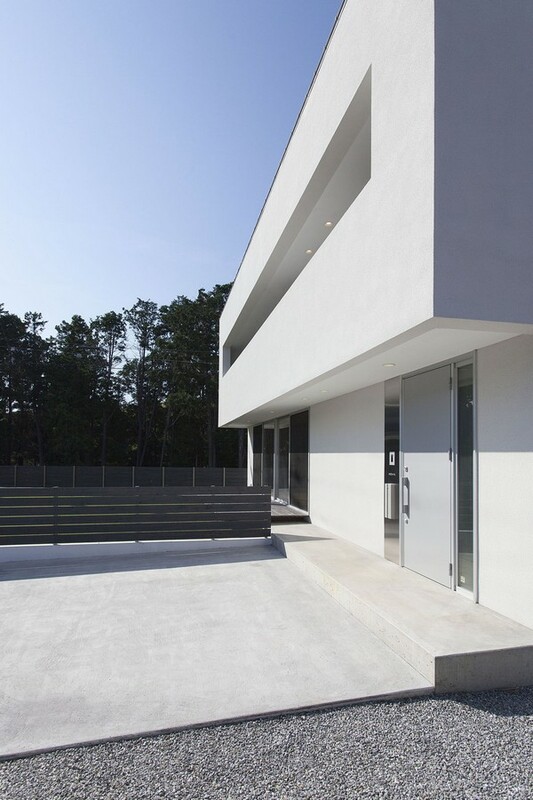 The 10m wide horizontal opening on the balcony wall made structurally free by use of cantilever, gives character to the outer appearance of the building. 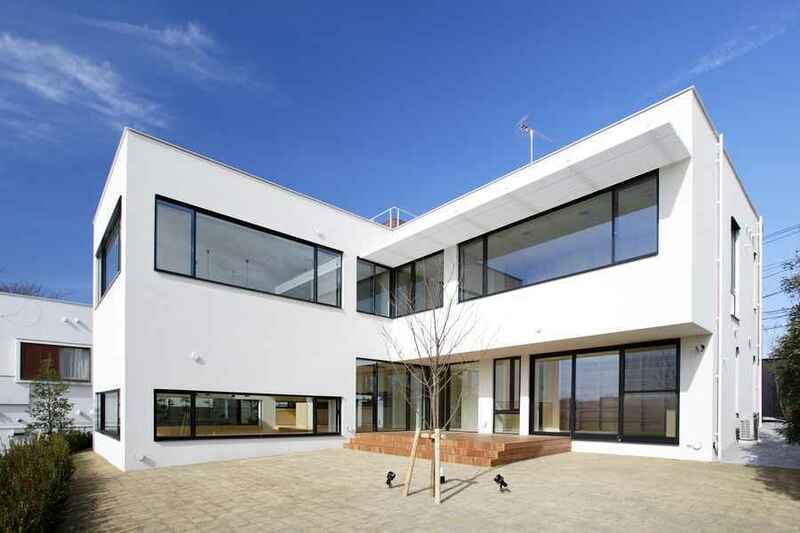 The building is situated on the northern side of an irregularly shaped land plot. 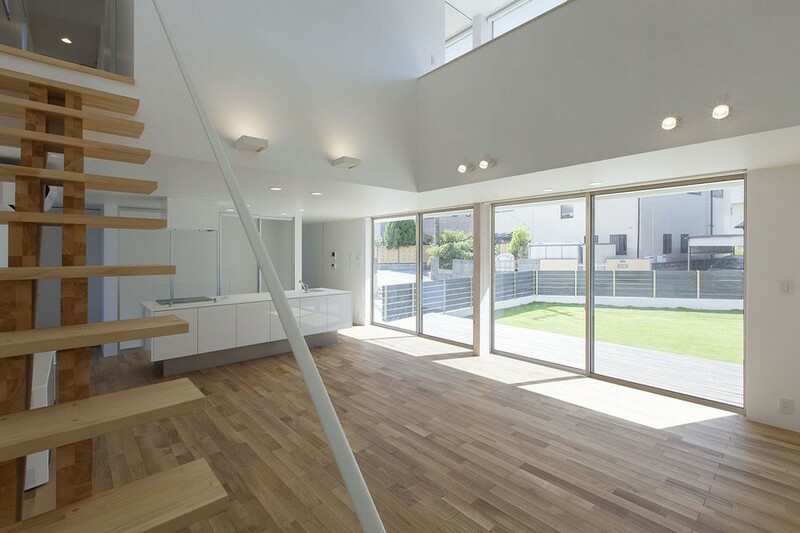 In the double-height ceiling LDK, the large opening creates a sense of unity with the yard on the southern side, in addition to “borrowing” the forest on the south-western wide as part of the scenery. 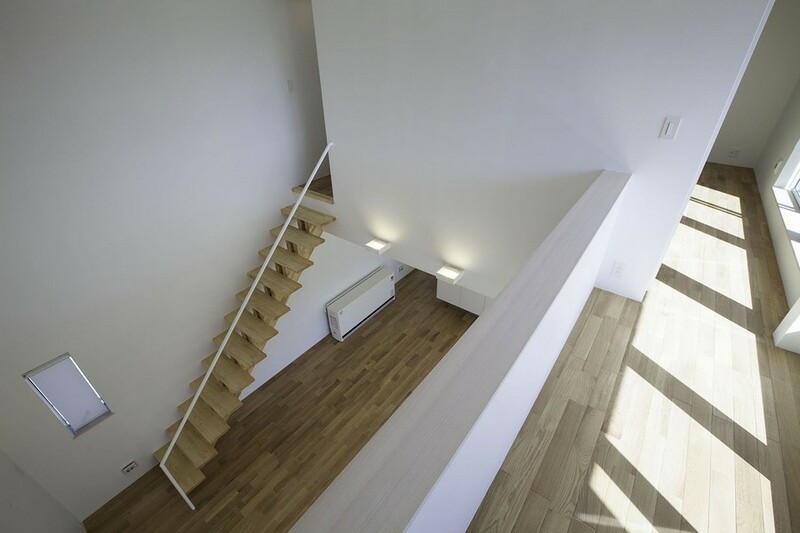 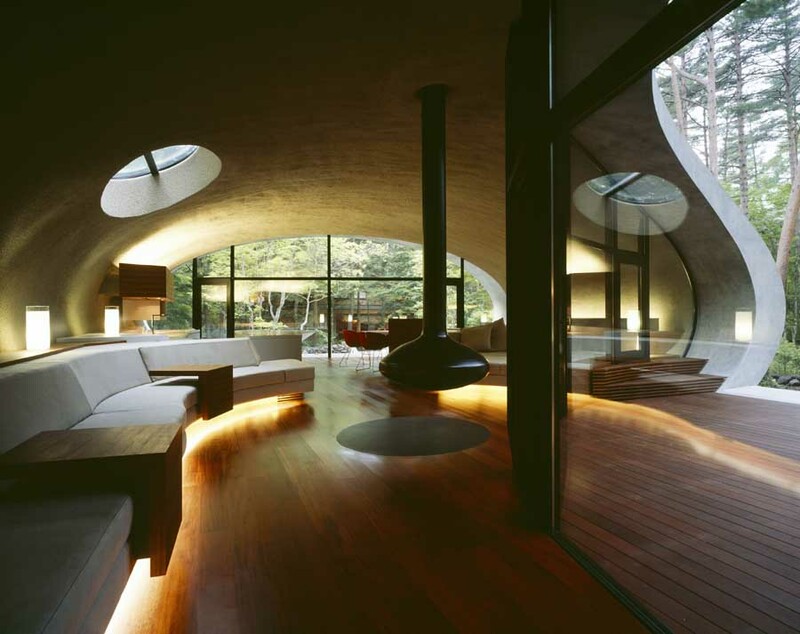 The open interior space was designed by extending dynamically both in the horizontal and the vertical direction.